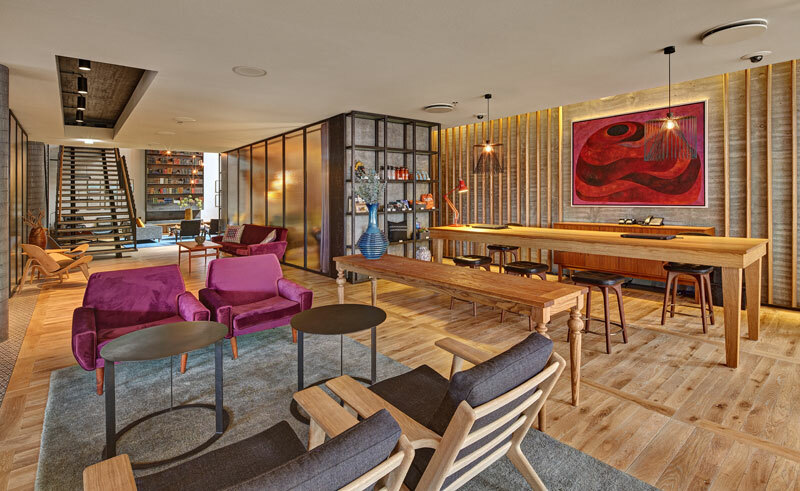 Set across six connected houses, Canopy Hotel Reykjavik City Centre is perfectly located in the urban heart of downtown Reykjavik. Opened in July 2016, the stylish hotel is the world’s first Canopy by Hilton, a new brand of hotels which are individually designed as a natural extension of the surrounding neighbourhood, offering excellent facilities and a unique lifestyle experience with quirky local art filling the walls. 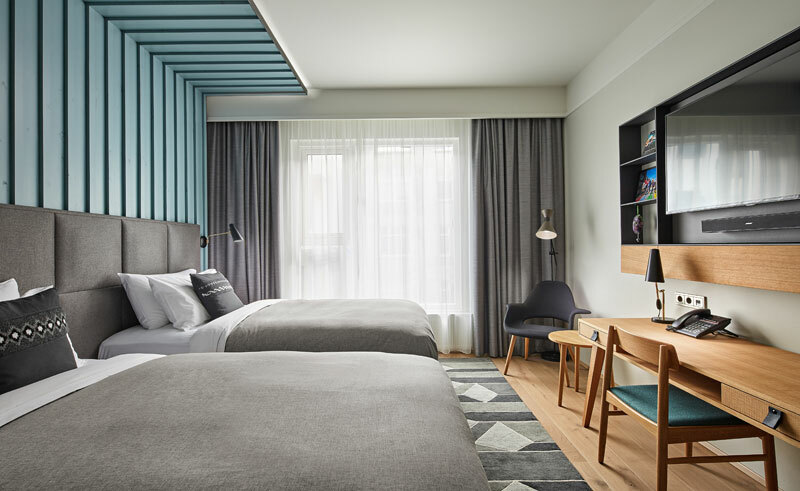 Situated just off the famous Laugavegur street and within walking distance of many popular city sites including Hallgrimskirkja church and the Harpa concert hall all guests are welcomed and introduced to the area and given a complimentary local treat at check in. 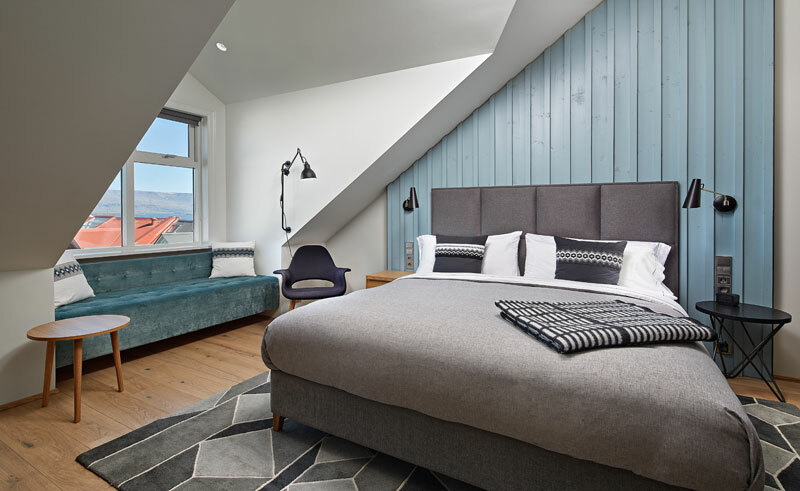 Each King, Queen or Twin bedded room are thoughtfully designed and styled in Icelandic themes of ocean, ice and volcanic rock. Many also offer gorgeous views of the sea or mountains and all feature a 48 inch flat screen television, mini fridge, Canopy exclusive bed with memory foam and a Nespresso machine. Other facilities at the hotel include free Wi-Fi, complimentary bike rental, a 24 hours fitness centre and luggage storing area. 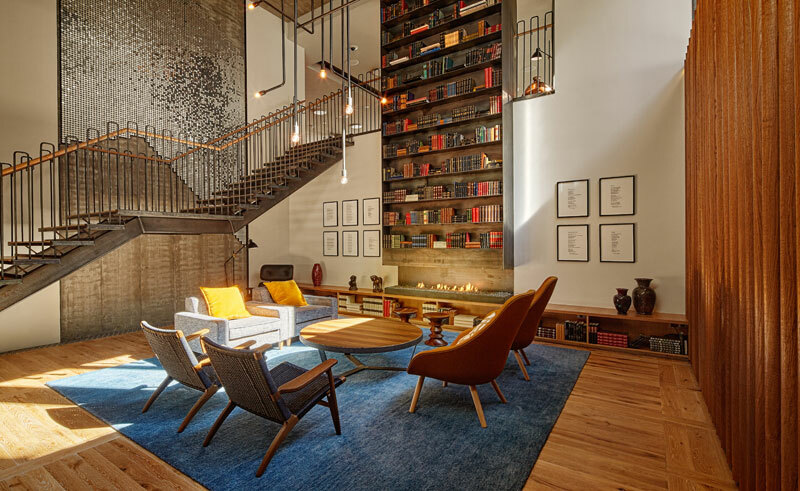 The hotel has a sophisticated restaurant, Geiri Smart, with a delicious menu consisting of local Icelandic cuisine including fresh fish and organic dishes prepped by award-winning chefs, plus a dry-aging room for the most tender, flavourful meats. There is also the Canopy Central – a coffee shop serving a local artisanal breakfast and lots of lovely gourmet treats. In the bar area, every evening, there is a complimentary tasting of local beverages and spirits.